When Joseph Schooling won his first Olympic gold medal for Singapore, it sparked an interest in that small but prosperous country about Eurasians. A Singapore article, TODAY went on to name several roads and places in Singapore that originated from Eurasians. It described how Eurasian families were built up in Singapore. The article did get positive respond but some raised the question; why only highlight Eurasians descendants through paternal lineage? What about those Eurasians whose mothers are Europeans? To me, whether your parents of European descent are father or mother; all deserved to be call Eurasians because it is indeed a coloration of two identities; European and Asians. I would go further to include even those having Caucasians parents example from Australian or America marrying an Asian, to be considered Eurasians. In Latin America and Philippines, the mixed race are called Mestizo for men and Mestiza for women. 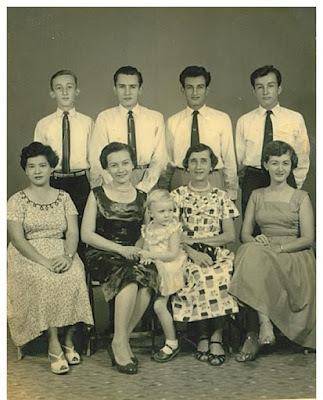 However, North Borneo (Sabah) also have Eurasian families shaping their history. 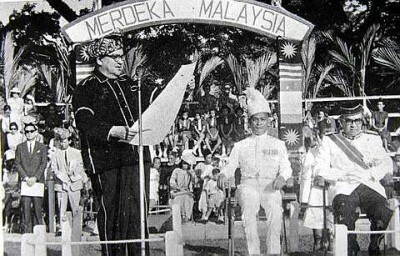 The most important one was North Borneo had the first Eurasian Chief Minister, Donald Stephens (picture above). Donald Stephens was also one of the person who signed a very important document, THE MALAYSIAN AGREEMENT 1963. The Malaysian Agreement 1963 or MA63 is a very hotly debated topic nowadays due to the book, The Queens Obligation by Zainnal Ajamain. Donald Stephens and many other Eurasians had contributed a lot to the development of North Borneo. 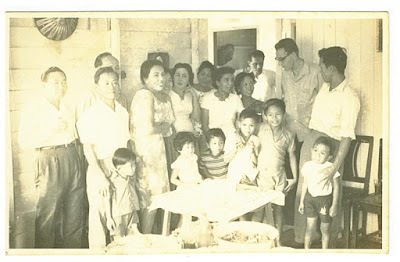 Like Singapore, as well as other countries of Asia, European families started due to colonization. During the early 1500's, the Spanish had reached Philippines, while the Portuguese had captured Malacca in 1511. Malacca could boast to have the earliest Eurasian families in Southeast Asia. By late 1600's the Dutch defeated the Portuguese in Malacca and went on to establish a colony in the Indonesian chain of islands. France established her colony in Indo-China and by the 1800's, the British established their presence in Malaya, Singapore and the West coast of Borneo. But without doubt, all these races; European, Asian and Eurasians did played an important role in nation building. The infusion of cultures created a unique heritage.